It turns out there’s a little matter of the Constitution getting between Rob Oakeshott having his cake (possibly pear cake) and eating it. 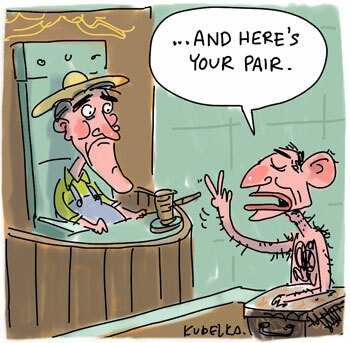 Sure, Tony seemed to be all for the Speaker getting a pairÂ before the Indies got to pick the winner, but Rob, mate, that’s what we voters like to call an “election promise”. Probably best get used to it.